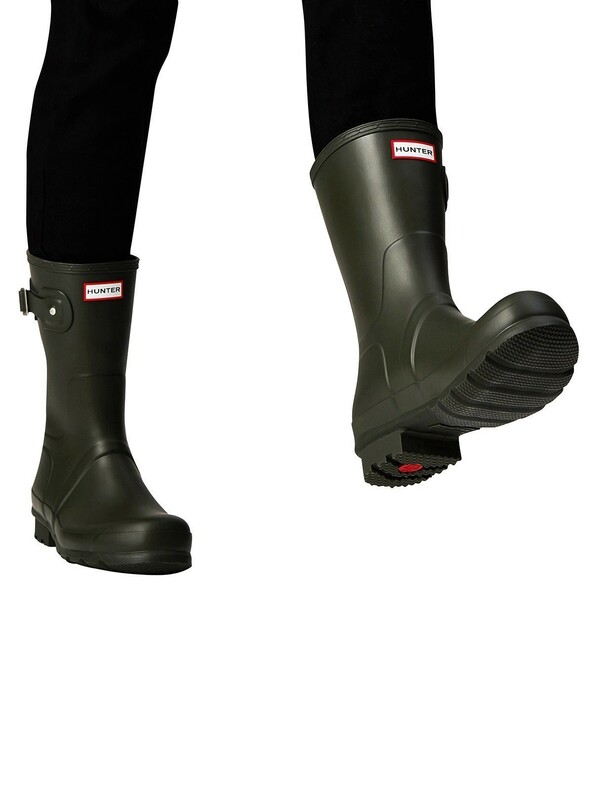 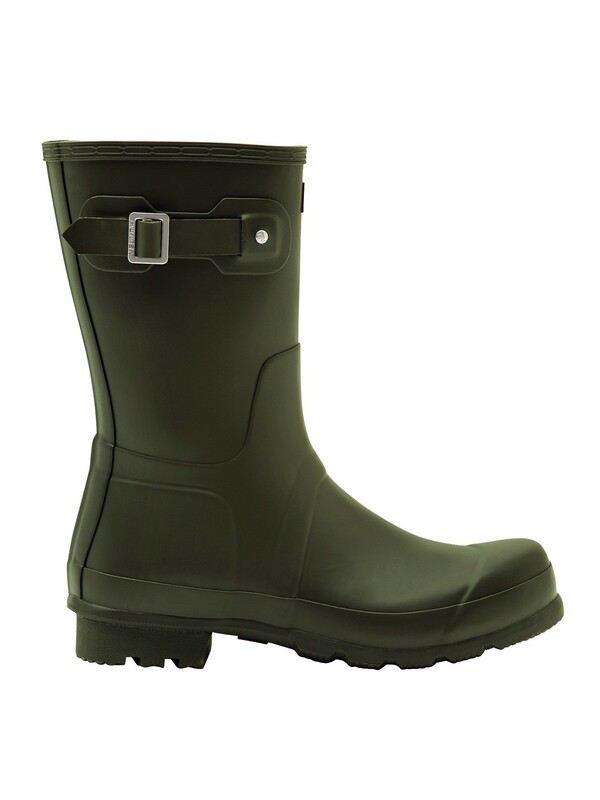 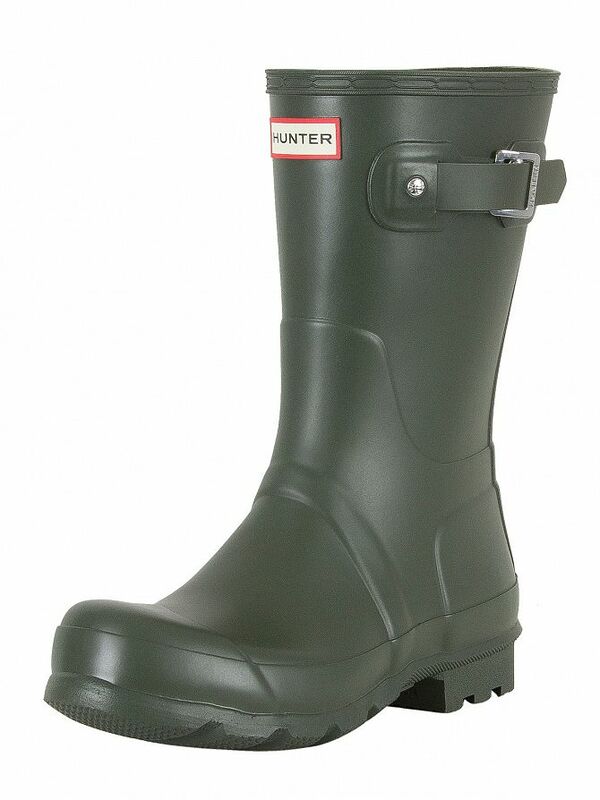 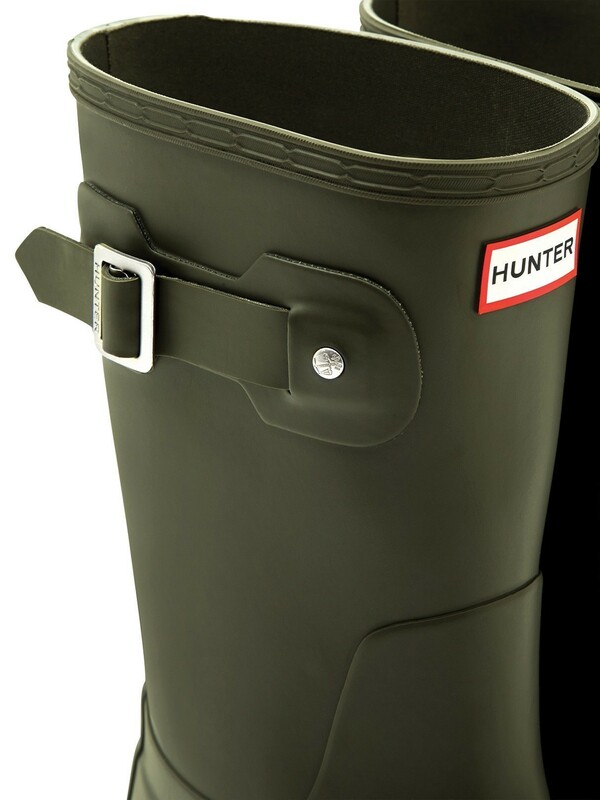 The Original Short Wellies from Hunter come in Dark Olive, featuring adjustable buckles and the finest natural rubber. 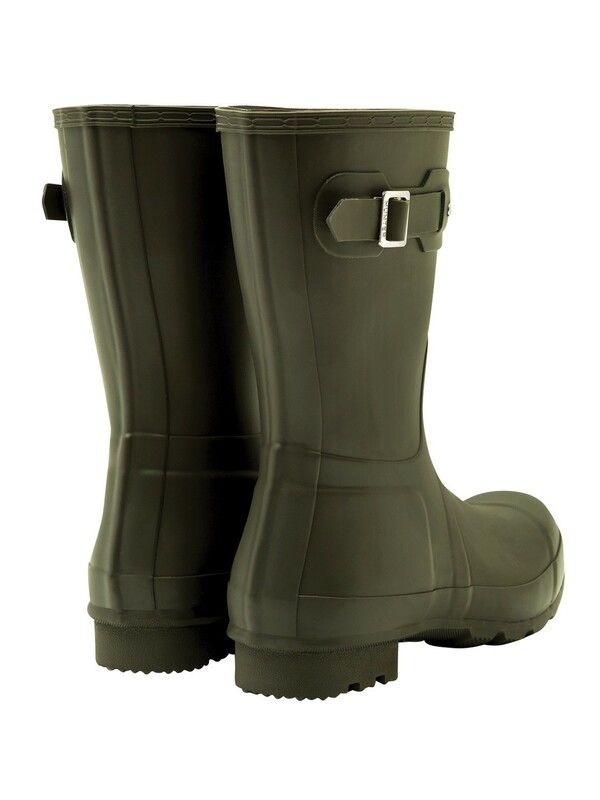 These men's boots are to be cleaned with lukewarm water and they dry naturally. 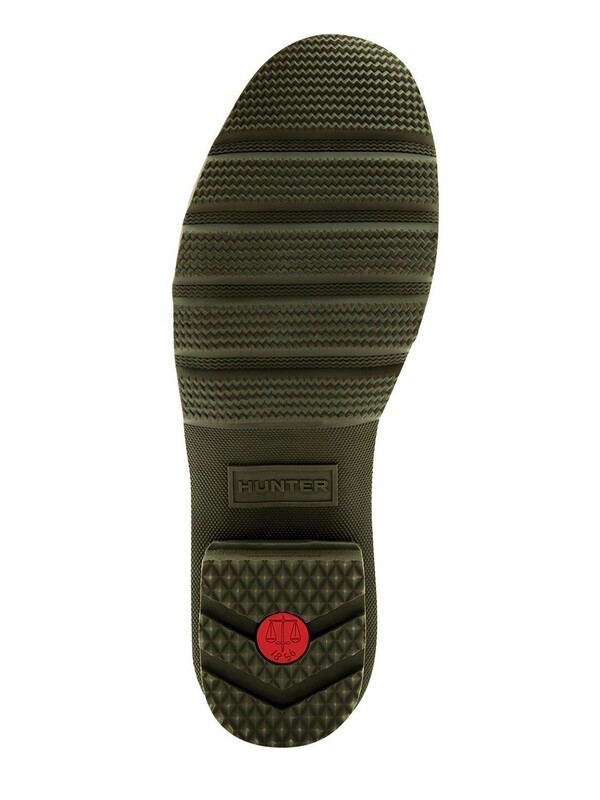 The boots also sport the brand label just below the lip in the front.